The story is simple, but full of magic. A young boy is excited to see snowflakes start to fall, but the grumpy adults in the town pooh-pooh the idea that it will amount to anything. 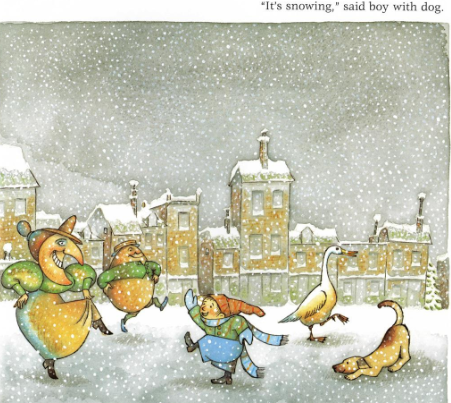 The boy, his dog, and the characters from The Mother Goose Bookshop who have come alive all dance together in a joyful celebration of the snow, and of the miraculous change that snow effects on the world. 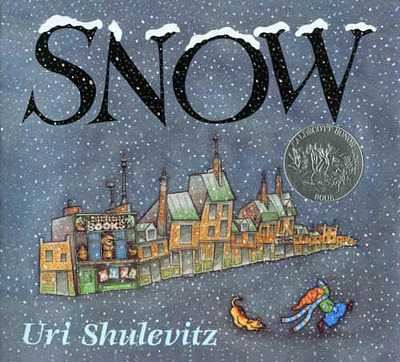 Evaluation: This award-winning book is a delightful way to share the enchantment of the first big snowfall with the preschool set. Or the not-so-preschool set! Never mind the snowflake, I’d give my left arm for weather in the 50’s. 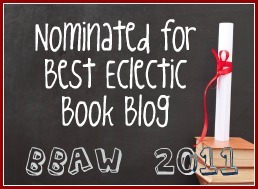 This looks utterly charming and magical! 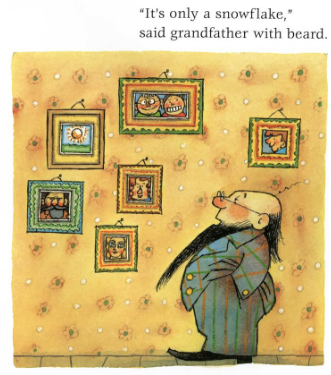 Love the grandfather with beard :). This book looks delightful! My son loves books with detailed illustrations. 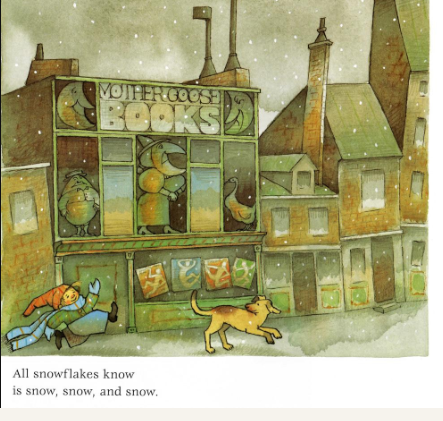 That’s how I like my snow – in a book! That looks gorgeous! This is a must have for me! I’m sick of all of our winter books already and I know Gage would love it (and I love the vocabulary).